Kim K shared photos of her new kitten named Mercy with her fans online this weekend! 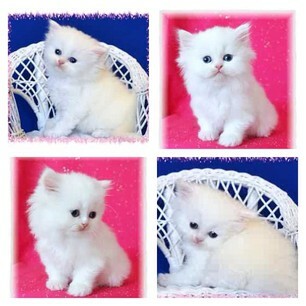 The all white kitten is so tiny and adorable. Even other family members posed with little Mercy over the weekend. We're assuming the name came from her boo Kanye's single! The cat is a tea cup persian & is small enough to fit into a hat. She's so precious! 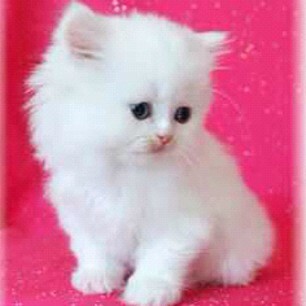 Ahhhhh I dont really like cats.. but I think I love Mercy! !